Colin O’Brady was almost to the summit on Mount Everest last year when a dangerous windstorm picked up, putting him in serious peril. The top of the world was mere hours away, but within five minutes it had become completely unreachable. After spending a month working his way up the mountain, he knew the chances of summiting were now close to zero. 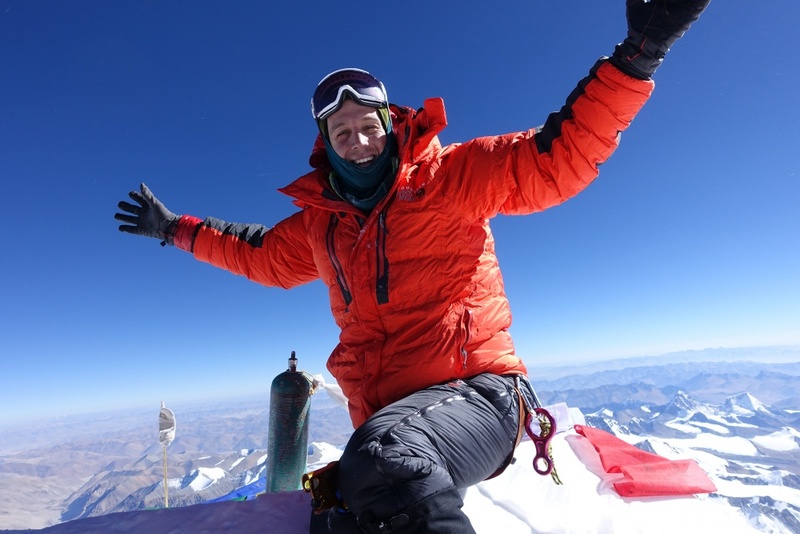 O’Brady will recount that adventure and his push to endure at his upcoming talk as part of the annual TEDxPortland Spectrum event April 15, presented by the University of Oregon and held at Keller Auditorium, 222 SW Clay St. The mountaineer will be one of 21 participating performers in the all-day event. The all-day event also features feminist Emma Mcilroy, community builder Stephen Green, roboticist Annie Choo, vocalist virtuoso China Forbes, performance artists Body Vox and 16 additional presenters from 8 a.m. to 5 p.m. Tickets are available at tedxportland.com. O’Brady, 32, lives in Portland and grew up in the shadow of Mount Hood. When the weather kicked up on Everest he was 130 days into an attempt to break the speed record for climbing the highest peak on each of the seven continents and skiing to the last degree of latitude at both the North and South poles — a feat known as the Explorer’s Grand Slam. He had windburns on his cheeks and the weather had already forced him to turn back once. Knowing all too well that his entire journey was now in jeopardy, he headed back to Camp 4, the last stop on Everest before the summit, with a thin hope that another window of good weather would open soon. If it didn’t, his chance to break the record and complete the Explorer’s Grand Slam was over. But there was another, overreaching force that was driving him: He was not on this mission for himself. O’Brady and his fiancée, Jenna Besaw, saw an opportunity to use the quest to raise money and inspire children to reach for their own dreams. Together, they created Beyond 7/2, a nonprofit agency to inspire healthy, active kids. All proceeds went to the Alliance for a Healthier Generation, a Portland-based nonprofit formed by The American Heart Association and The Clinton Foundation. But it wasn’t the first time O’Brady, a professional endurance athlete new to climbing, had pushed his limits. Earlier, during a yearlong backpacking trip around the world, he suffered third-degree burns over 25 percent of his body, primarily his legs and feet after an accident in Thailand. Despite the news that it would take him a year to regain the ability to walk, O’Brady took his first steps the following month. Within three years, he won the amateur title at the Chicago Triathalon and began racing professionally. A day had passed on Everest when O’Brady, exhausted and fatigued, learned a weather window had opened and summiting was possible. It was the chance he’d hoped for, an opportunity to push his skill and training to their limits. Just as he had in Thailand, O’Brady gathered himself, determined to move forward and head for the summit. The next day, May 19, he reached the top of the formidable peak at 7:42 in the morning. Ten days later, he climbed to the top of Mount Denali in Alaska, the highest peak in North America and the last of the Explorer’s Grand Slam summits. It was O’Brady’s level of tenacity that caused David Rae, executive producer of TEDxPortland, to invite him to tell his story in the series’ next event April 15. Now in its seventh year, TEDxPortland is part of the international TED — Technology, Entertainment, Design — idea-sharing program that brings cutting-edge speakers and entertainers to global, national and local stages.